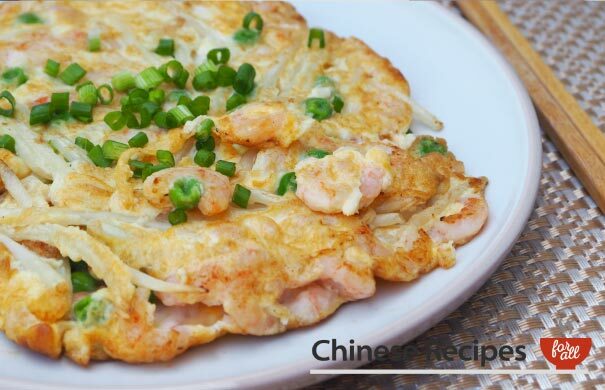 A delicious, filling dish that you’ll love! Really quick to make and we're sure this one will become a staple of yours. 1, spring onion. Half of it slice thinly, other half cut in 1 inch slices. Cut the beef into strips and place into a bowl. Add cornflour, salt, soy sauce and vegetable oil to the beef and mix. You can leave this to marinade for 10 minutes or you can use straight away. Heat 1 tbsp oil in a wok until hot. Fry the beef strips for 1 minute and then set aside. Whisk the eggs. Defrost the peas in a small bowl of water. 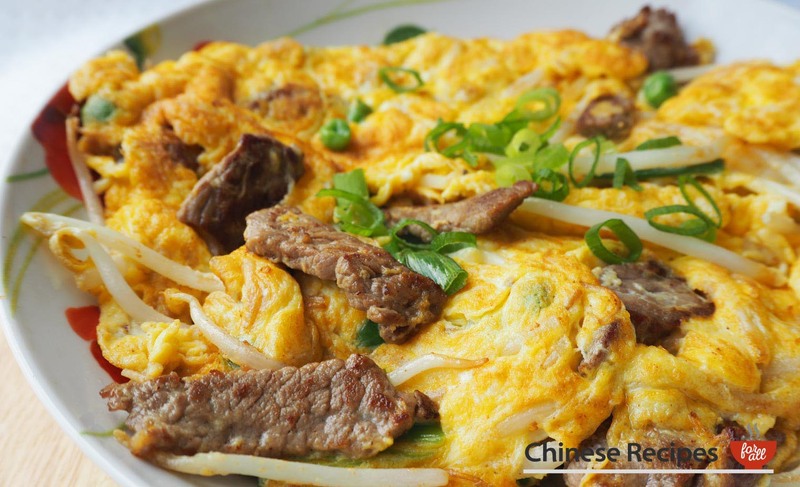 Add the beansprouts, peas, 1 inch slices of spring onion, salt, white pepper and the beef to the eggs and give it a mix so everything is incorporated with the beaten egg. Heat wok on high heat. Add the 3 tbsp oil. 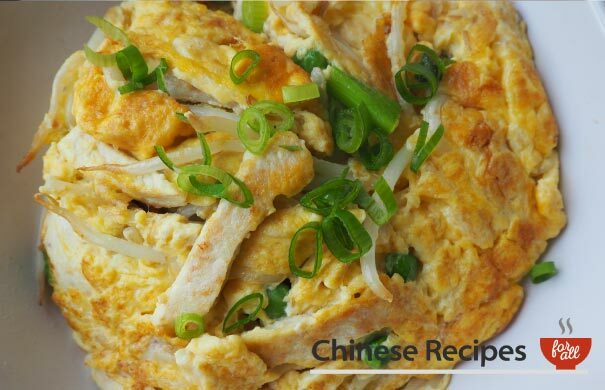 When oil is hot add the egg mixture to the pan and keep moving the mixture around for 1 minute whilst the mix is still wet. As it starts to cook and take it's shape then leave it. Cook for 1 minute, flip it, cook for further 1 minute. Garnish with the thinly sliced spring onion. Extra Notes: Depending on the size of your wok or pan it's definitely better to cook this as an individual serving for 1 person. If you need to cook for 2 just double the ingredients etc. 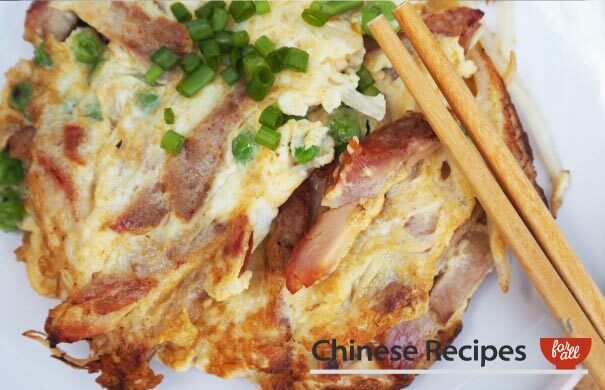 It will take longer to cook the egg when there is more mixture.